I have a confession to make, when I first started homeschooling I had this picture in my head of how our days would go. You know, I’d wake up early in the morning, have time to read my bible and exercise, cook a nutritious breakfast, wake up my happy kids, kiss my husband good-bye and set up our school stuff while my boys ate and talked together. Then we would start school, and we’d read books, do experiments, take nature walks, have long discussions over lunch etc. etc. At the end of the day, the boys would help me clean up, and then I would cook dinner and straighten up the house while I waited for my husband to get home from work…sounds nice doesn’t it? Well, after doing this for three years now, I can tell you, my reality is NOTHING like what I pictured in my head, and that’s completely okay! Some days, we have long, incredible discussions about history or science, so much so that other subjects may get pushed back to another day. That’s okay too, because I am all about a teachable moment, and the beauty of homeschool is, you can adjust your schedule to fit YOUR needs right at that moment!! Some days we also do amazing experiments, but some days the experiments don’t work the way they’re supposed to. That’s alright though, we look at it as an opportunity to try and figure out what went wrong, which can often be as big a learning opportunity as the original experiment! At the end of the day, I am pretty tired! With my boys help, we put away the school stuff and pick up the obvious messes around the house. Laundry gets done twice a week, and dinner gets cooked most nights (mostly due to my crock pot!! I love that thing 🙂 ). Other nights we get pizza! The one thing I have learned, which I think is most important, is that FLEXIBLITY is key to a successful day. Things may not always go as planned, but that doesn’t mean that the day is a disaster, or that your kids haven’t learned anything! Learning to “roll with the punches” is an important life skill after all, isn’t it?? And after spending time with homeschooling friends of mine, I can honestly say that their days often look different than mine, but that’s what makes homeschooling what it is! What does a day in your homeschool life look like? Happy New Year everybody! After taking a much-needed break and enjoying some family time I am very excited to be “back to school” once again. I love that we can take some time off when necessary, in order to relax and recharge. We had a wonderful holiday, but I think even my boys were happy to get back to school again. Over the break, I did spend some time thinking about how our school year has gone so far, and I’ve decided to change a few things for this next semester. We are going more relaxed on our history, doing fewer projects, but spending time going more in-depth with those things we are studying. We are beginning to get into some really meaty parts of American History, and I want us to be able to take our time and explore some rabbit trails if my boys want to! 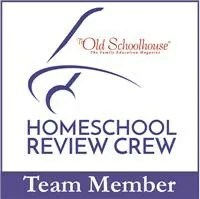 We have some field trips coming up with our homeschool group that we are really looking forward to. This month we are going to Fort Christmas, a place where we will explore what life was like for Florida Pioneers! We are going to get to make syrup, see pioneer era houses, do woodworking and all kinds of cool stuff! Next month, we are going to go to the new Legoland theme park, and my youngest son CANNOT wait! He loves legos! While we are there, we are going to do a group “physics” class based around legos, and get to explore the park!